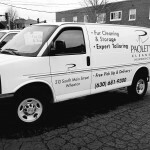 Paoletti’s Delivery Service offers free pick up and delivery to communities in Wheaton and the surrounding areas. We will come to your home once a week to pick up and deliver your clothes, making dry cleaning simpler and more convenient than ever before! You will receive a personal Paoletti’s Valet Bag with a tag that lists your individual specifications including starch, folding or hangers, etc. The morning of your pick up place any items in your Paoletti’s Valet Bag and place it outside your home. Our pre-screened and trained drivers will pick up your items and deliver them back to your home on your delivery day. So, what are you waiting for, sign up right now and you can stop running around and make going to the dry cleaners as easy as stepping outside your front door.